Everyone loves cashmere, right? I learned that from an episode of Seinfeld, so it must be true. But that love could soon turn in to despair as your favourite clothes lose their softness or get destroyed due to lack of care. It’s really not such a big deal to take care of them properly though, so keep reading to learn a few lessons in avoid clothing-related heartaches. The first piece of good news is that, even though the label may demand it, it is not necessary to have your cashmere clothing dry cleaned. 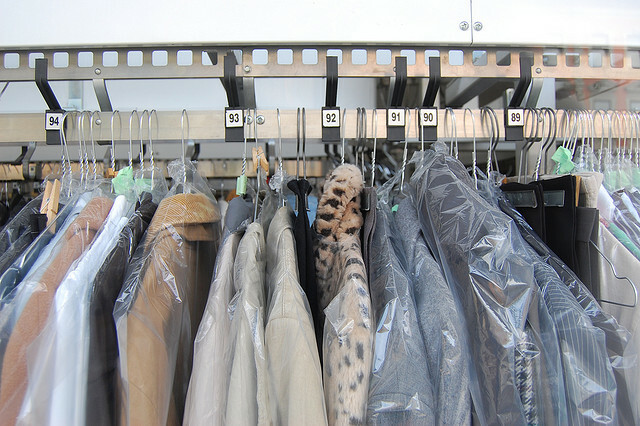 Although it is recommended to use a dry cleaner, particularly if you have the money to spend on it, you can simply wash it gently by hand or even use the hand-wash cycle on your machine if it has one. Don’t be afraid to wash it regularly too, because moths are attracted to even the tiniest particles of food, sweat, hair, and skin. Everything you do during the washing process should be as gentle as possible. Use warm water, not hot, and make sure your sink is clean beforehand with no leftover cleaning products or other debris. For detergent you should either use a diluted amount of regular detergent, buy one specifically designed for cashmere, or even baby shampoo will do the trick. Turn the clothing inside out and gently massage the water through it without getting too rough. Now that it’s washed, you should rinse it in warm clean water (again: not hot) and then continue to the drying process. Don’t even think about putting it in your dryer… and don’t try to twist or squeeze it to get the water out quicker. What you should do is place it on a clean towel that won’t transfer any pieces of fluff to your clothing, and then loosely roll up the towel with the item inside before applying slight pressure to get most of the water out. Now take it out of the towel, get it back in to shape by hand, and leave it to air dry on a flat surface away from any heat source or sunlight. Don’t hang it up until completely dry. Even if you have the finest clothing money can buy, it still needs a good de-pilling every once in a while. Whether it’s your favourite cardigan or one of your lovely new cashmere beanie hats you should go over it with a special wool comb (they’re cheap) to keep it nice and soft year after year. If you do this each season before storage you can not only retain the great feeling of the material, it will even get softer as time goes by. When the time comes to put your favourite piece away for the year, you can’t just leave it lying around anywhere you find a spot. Before you put it down, make sure the space is clean; vacuum it, wipe it down, and allow it to dry. Keep the moths away with any of the usual methods: specially designed fragranced paper lining, moth balls, or sachets, and replace them if older than a year or two. Now your cashmere should be ready to enjoy next season, and hopefully for many more to come.